What would be different if…. – Journey to my heart…. What would be different if…. Today I had an all day strategic planning meeting for Open Hearts Ministries. Stories of people who journey through life every day…. Stories of people who bless others with their dignity…. And I listened to music on the way home and sang these Sara Groves lyrics….Believe in the strength and the courage of your soul…. 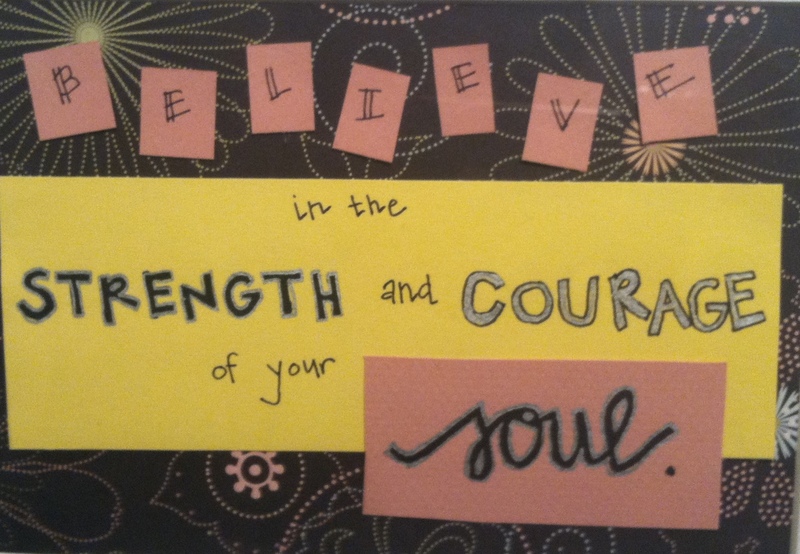 I wonder what would be different if you believed in the strength and the courage of your soul? Previous Previous post: Am I a Scrooge…. Next Next post: Third grade spelling….